TOKYO (AP) - Japan, Australia and New Zealand reacted cautiously Friday after President Donald Trump signaled he might reopen talks on a Pacific Rim trade deal that he pulled the U.S. out of shortly after taking office. Japanese officials said they welcome the move if it means that Trump is recognizing the importance of the Trans-Pacific Partnership. New Zealand's trade minister said his country is not blind to the benefits of free trade with the world's largest economy, but U.S. participation remains theoretical. "It's not yet clear how real it is, given the different views in the U.S. administration," Trade Minister David Parker said. His Australian counterpart, Steve Ciobo, said the U.S. is welcome to rejoin the agreement, but added: "Let's also be clear, I think there's very little appetite among the TPP 11 countries for there to be any meaningful renegotiation or indeed any substantial renegotiation of the TPP 11 at all." "What we're all focused on is making sure we can bring the TPP 11 into effect as soon as possible," he said. He said that Australian agricultural exporters in particular are at an advantage compared to their American colleagues, "and I think that's one of the reasons why the United States is having a second look at possibly rejoining the TPP." Trump tweeted that he "would only join TPP if the deal were substantially better" than the one negotiated by his predecessor, Barack Obama. Japan's trade minister, Toshimitsu Motegi, warned that it would be difficult to renegotiate, saying TPP is a well-balanced agreement based on the varying interests of the signatory nations. "It is an agreement so delicate, like something made of glass," he said. "So, it will be difficult to take only parts of it and reopen negotiation, or change only parts of it." New Zealand Prime Minister Jacinda Ardern said the 11 nations "fought hard to get the final agreement that we have now before us." "We've heard some of this discussion and debate about whether the U.S. might join before. If they were to choose to do that, that would trigger a process kicking off again. As it stands, the deal today would continue as is going forward," she said. 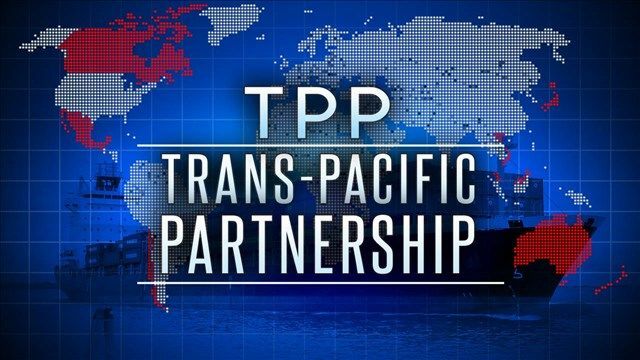 The 11-nation trade deal, which was renamed the Comprehensive and Progressive Agreement for Trans-Pacific Partnership after the U.S. withdrew, was signed in March but won't come into force until it's ratified by individual nations. New Zealand's liberal government, voted into power last year, has been more cautious about the deal than the previous conservative government. One change the new government made was to introduce new laws that will restrict the sales of New Zealand homes to foreign buyers, a provision Parker said would not change were the U.S. to join the pact.